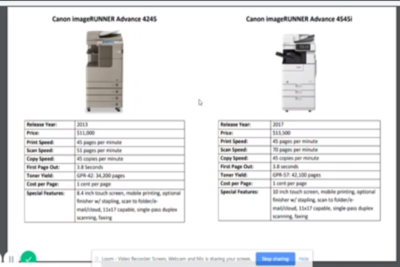 Getting a suitable printer for your small business requires attention. You can get something a little too big or a little too small. The right printer should be able to accommodate all your needs. Not only with your printing needs but as well as other areas like scanning, colored printing, and copying. It can save you from extra costs from getting other gadgets. 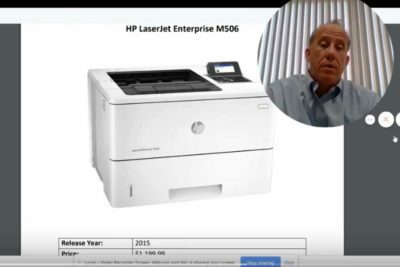 IOT Solutions recommends the best printers for small businesses. They also deliver and service within the Minnesota area. Rusty: Hi. 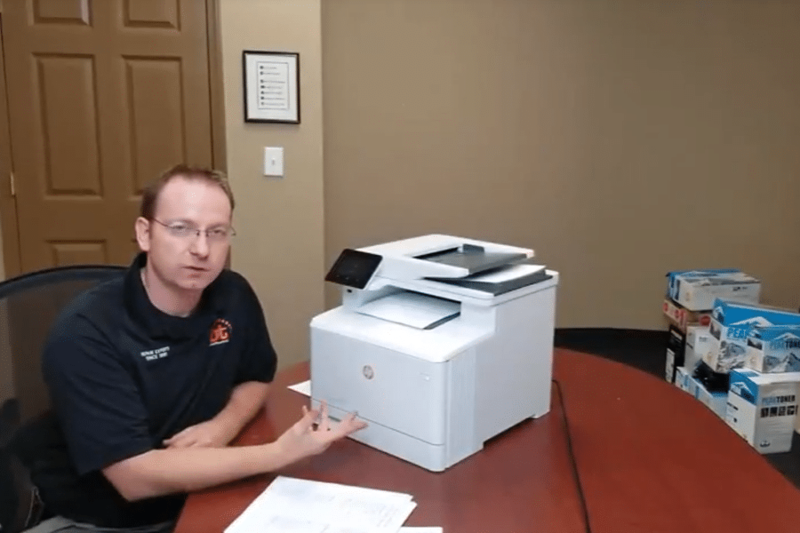 This is Rusty with IOT, here to show you a nice, small, compact color printer. HP Pro M477, color, laser jet, multi-function, prints, copy, scan. There’s also scan to USB. It’s a great little printer. It’s got about 30 pages a minute, color, black and white. It’s a good printer for a small office where you print maybe about a couple thousand pages a month. If you do higher volume than that, you obviously want something bigger, otherwise you’re going to burn through the toner cartridges. 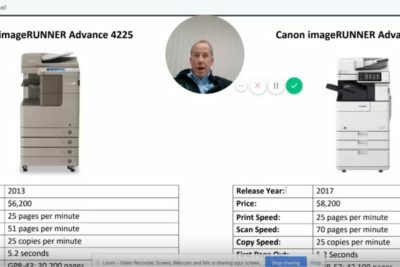 Rusty: We offer this printer with a picture program. 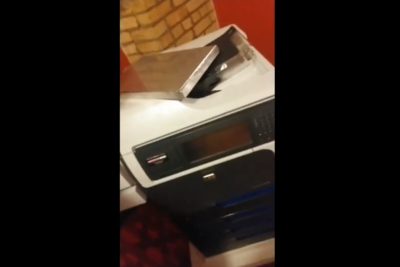 Purchase toners, we’ll fix the printer. We’ll deliver printer wherever you are, anywhere in Twin Cities metro area, Minneapolis, St. Paul, Plymouth, Maple Grove, Eagan, Burnsville, Apple Valley, and it’s covered for free. All parts and labor included. Just buy our print toner, and we’ll take care of it. Rusty: You are interested in this awesome device, feel free to call us, 651-605-2500.